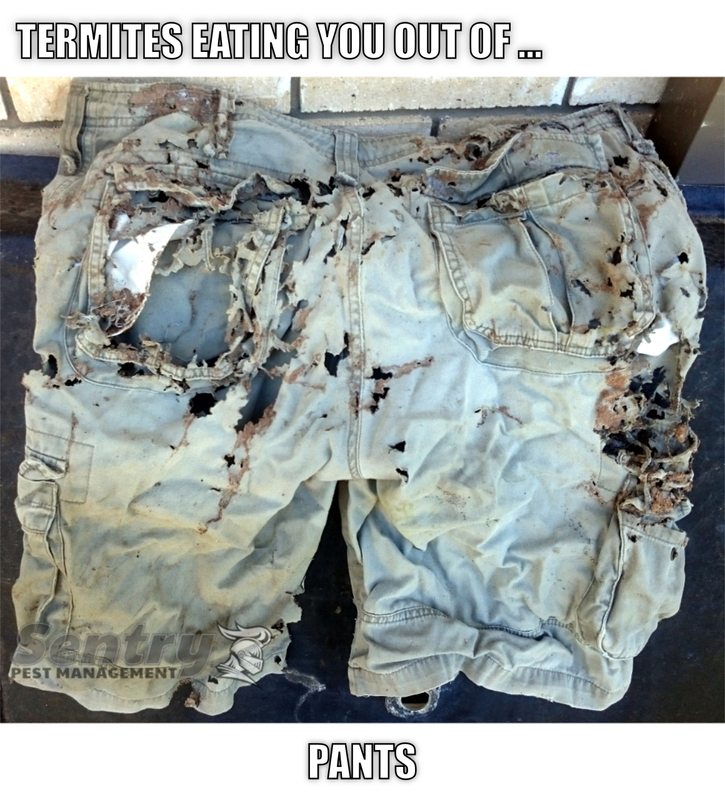 While carrying out a termite inspection this week i came across termite activity in a garden shed and amount the damage, the pants pictured above and couldn’t resist sharing. I guess Termites are not content with just eating you out of house and home they want to eating the shirt off your back and the bum out of your pants. As I came across interesting things I will endeavor to share them with you, As time permits.